The day your home is devastated by a flood is the wrong day to look into flood insurance policies. Instead, cover yourself, your home, and your family by doing research on flood insurance carriers now. 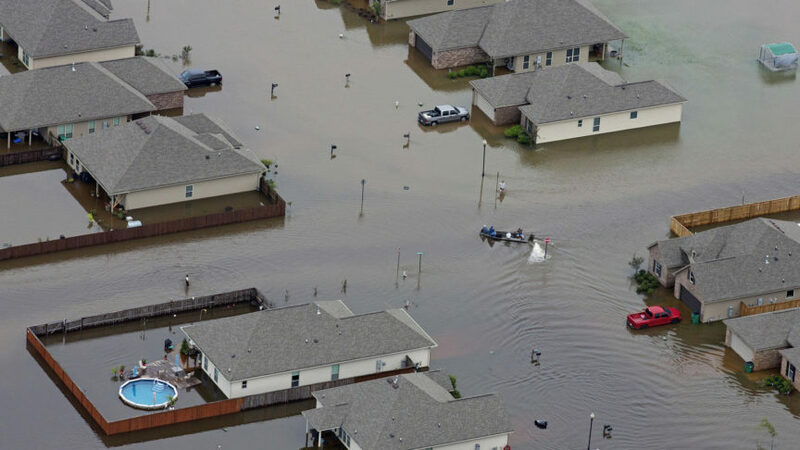 If you have never considered flood insurance before, the following is a basic guide to help streamline your search process. Flood insurance can only be purchased through an insurance agent. For a list of agents serving your immediate area, search the NFIP website or contact them at 888-379-9531. Building property damage: Insured building and foundation; electrical and plumbing systems, permanently installed carpeting over unfinished flooring, paneling, wallboard, bookcases, cabinets, and window blinds; central air conditioning equipment, furnaces, and water heaters, and more, depending on your insurance plan. Personal items: clothing, furniture, and electronics; portable air conditioners, microwave ovens, and dishwashers; carpets that are not included in building coverage; washers and dryers; original artwork, furs, and other valuables, up to $2,500. Basements: Coverage is limited in this area, so be sure to ask your agent about your particular details. Areas included in this part of your insurance policy are basements, crawl spaces under elevated buildings, and other enclosed spaces beneath elevated buildings. Just like other types of insurance, a higher deductible lowers the premium required as well as your claim payment amount. Deductibles apply to your building and its contents separately, with different amounts for you to choose. Flood insurance is required for homes and businesses with mortgages from federally insured or funded lenders in high-risk flood areas. You may still purchase flood insurance if you live in a moderate-to-low risk area, and the benefits in case of crisis often outweigh the cost of making a monthly payment. Your flood insurance rates depend on many factors, including the date and type of construction of your home and your area’s level of risk. If your community is a participating member of the Community Rating System, you may qualify for an insurance premium discount. How Long Before the Plan Is Effective? A major reason to investigate flood insurance options prior to a crisis is a 30-day waiting period before most plans go into effect. There are exceptions to this rule, including buildings that have been newly designated SFHA, or if flood insurance is being purchased in connection with increasing, making, or renewing your loan. However, in most situations, preparation is the best policy. Particularly if you live in a high risk flood area, flood insurance is an essential aspect of taking care of your home and family. Once insured, your chances of coming out of a flood-related crisis unharmed are much greater, and you can enjoy the peace of mind that comes from planning for the unexpected. If your home has already been flooded, be sure to contact a restoration specialist to help you recover.